RUSH: What’s the question? Yes, I have heard who the wedding singer is for the royal wedding. One Elton John will be performing an encore performance. 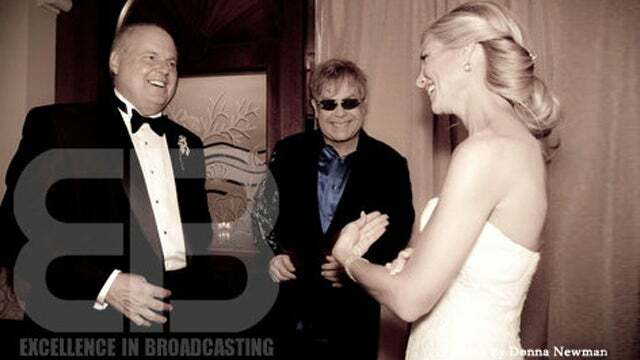 After having performed at Kathryn’s and my wedding, he is now also performing at the royal wedding tomorrow. I don’t know if it’s the wedding or the reception or the after party or the after after party ’cause they do all that stuff now. You know, the real party after the wedding is not gonna be ’til 10 or 12 hours after. The reception is for the old folks to show up and have their punch and then they’re sent packing to go back home and take the gums out and watch whatever the Brits watch at 7 o’clock on TV. Then the real action begins. (interruption) Am I gonna watch? No. I’d have to get up at 4 o’clock in the morning to watch this. Are you kidding? Am I gonna watch it? I’ve already been in a royal wedding, why would I need to watch another?